An invitation was sent to Gaelscoil Uí Fhiaich requesting a teacher to work in partnership with the Froebel Department of Primary and Early Childhood Education’s Dance Artist in Residence. This school was chosen because of its long and active engagement with The School Placement Committee at the Froebel Department of Primary and Early Childhood Education at Maynooth University. 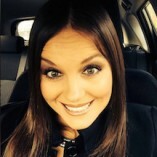 Triona Stokes, the Residency Co-ordinator supported the management and administration of the project from the very beginning. Tracey Kirrane, teaching Second Class pupils at the Gaelscoil accepted the invitation and we arranged a meeting. From the start, Tracey’s energy and openness was evident and it was clear that we shared a real excitement about the project and its possibilities. On visiting the Gaelscoil, I was immediately taken with Joe Butler’s Fish sculpture at the front of the school. This work was made as part of the Per Cent per Art scheme about three years previously. This sculpture became a stimulus for the development of the dance work. The aim of the project was to create a number of creative outcomes between all collaborators. I envisioned that this body of work would illustrate the context of the project, the creative processes and the learning that was taking place between all collaborators. These creative outcomes would include an integrated dance performance (students and children dancing together) and a film element. I also wanted the documentation methods and outputs to became part of the final sharing. These outputs would include recorded interviews, journals, reflections (both written and using art materials) and photographs. Tracey and I set up Thursday morning weekly sessions in the school for the children. Sessions were scheduled for an hour. Two students of the Froebel Department of Primary and Early Childhood Education at Maynooth University were scheduled to accompany me on a rotating basis. Their role was to participate as dancers and develop their own relationships with the children. They were also involved in the planning and evaluation of the workshop with me. 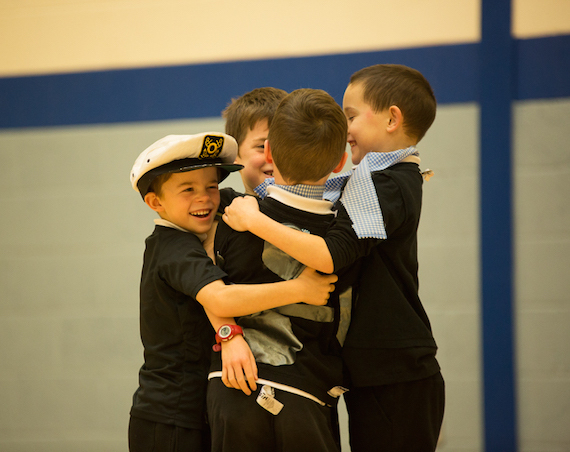 They took on active, fluid roles in both leading group dance tasks but also following and learning from the children. This balance became an important element of our co-operative approach. All of us as participants needed time and space to learn from others, and to lead and share with our collaborators. One of the teachers in the school approached me asking if I would be interested in taking part in a dance project with Maynooth University. He knew I had a keen interest in dance and music. I always like to give the children in my class movement breaks and I find that dance can be a great way to do this. I had a meeting with both Triona and Lisa in the school and they explained the whole process. Instantly I thought this would be an interesting and exciting project to be part of . On that day we discussed what information needed to be sent to the children’s parents and we arranged that we would do hour long sessions on a Thursday morning. On the first session Lisa arrived, she did movement exercises with the children. The children were instantly engaged and I knew from then on that they would enjoy the journey we were about to begin. After returning to the class after this session the children were very excited and couldn’t wait for the next session. At the beginning I must admit that I was finding it hard to visualise the finished piece, but as the structure and story became more apparent the performance itself came together into a terrific piece. I wanted to take part in this project as I thought it would be a challenging experience that would enable me to take part in something I’d never had experience in before. I would always jump at being involved in something with children outside of our normal placement and I am really glad that I took part in this project. The ideas developed through shared and separate work involving dance and reflection over 13 weeks. The development of the work is exemplified through the partnership with Laura Thornton, who encouraged me to deepen our collaborative exploration of line. Laura Thornton is an art lecturer at Froebel. She supported me in broadening my artistic tools in this exploratory process. I used both the body and art materials in our investigation of line. I introduced the examination of line to the children and students. We created lines in our bodies through shape, we drew lines using a variety of body parts through the space. We studied, drew and photographed lines and shapes on the Fish sculpture. 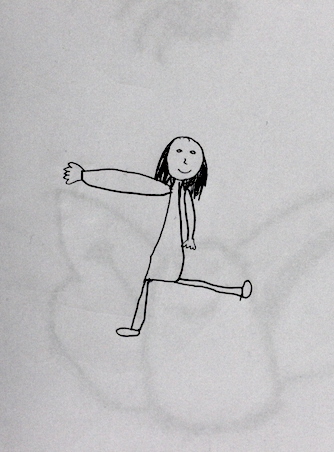 From the ‘line drawings’ the children began to speak about following a map and finding treasure. Discussions and playful work developed around this idea. We traced and followed our maps through the space. Children spoke about great and small journeys they had been on. They recalled times when they had followed maps or watched their parents follow maps. The children introduced challenges and obstacles that one might meet along a journey. Real and imagined journeys were shared, danced and written about. Tracey encouraged me to consider what the story of the dance was. She talked about a story we are all familiar with, ‘Going on a Bear Hunt’ by Michael Rosen. From here, we began to clarify and refine how our story/ journey would be structured and organised. I appreciated and listened to Tracey’s experience and her gentle reminders to communiciate clearly the intention of our work and the intention of our dance. The dance evolved into a final performance called ‘Finding our Way’, “Ag lorg Slí” The performance illustrated moments of a journey. This was articulated through live dance performance, film and photographic work. Is trí dhamhsa, scannánaíocht agus grianghrafadóireacht a léiríonn “Ag lorg slí” giotaí d’aistear. Lisa and I discussed ideas together and a lot of them came naturally from watching the children participate in the sessions. Being a teacher, I like structure on things, as I feel that the children need guidelines to follow so they know what my expectations are. I knew that there needed to be definite stages in our dance with very clear transitions so children could easily participate in the process. I first thought of the story ‘We’re going on a Bear Hunt’ by Michael Rosen as it is a very clear depiction of a journey made up of individual sections. I discussed this with Lisa. Lisa really liked the sculpture of the fish outside the school. This is where she got the idea of curved and straight lines. Children were taught to move in a variety of ways including different directions and heights, using various parts of the body. Myself and Lisa had several meetings together to gather and share our ideas. I really felt we needed to start putting a plan in place as I felt we had a huge amount of ideas and there was no way that they could have been all incorporated into one dance. Something I really liked, was the fact that the creative dance process overlapped and integrated with drama so much. 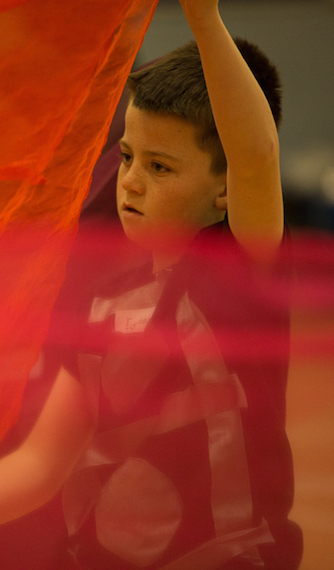 The children were thinking creatively the entire time, embodying a character at times, and using movement and dance to express their emotions and feelings. In fact, I came to realise during the process, that there is so much scope for integration across the curriculum through the medium of creative dance. The use of the fish sculpture in this project as a stimulus for the creative dance, brought visual art into the process. What I know now about dance? You can make anything of dance. I really enjoyed seeing the shy or nervous children getting really involved. They trusted the process and each week they engaged more and more. It was very important that the sessions didn’t go on too long as I could see the children’s attention was fading and it would not be beneficial to continue. The project was a bilingual project. This both terrified and excited me. I facilitated as much as I could through the language of Irish and encouraged the children to support me. I often had to pause and rely on body language or fewer words to describe tasks. I think this had an impact on how we used our bodies throughout the project. I did not always understand the children/ students or Tracey’s words. They slowed down, utilising their bodies to help me to understand. Towards the final stages of the project, I needed to speak more and more English. It did make me smile though as the students and children continued to speak in Irish to each other. It was a perfect collaboration in action. I especially enjoyed the communication between myself and the children, particularly as it was through Irish and I love to speak Irish with children. I felt like I had helped a lot after the session, and I felt I had begun to build a relationship with the children. The fact that the project was done mainly through Irish was also a great experience as it allowed me to see the power of creative dance and the ability to create dance in any language. A challenge I faced in this project was managing and threading together the ideas and movements, created by the children and students during their separate sessions. I used a variety of improvisation tasks to encourage the dancers to explore and tune into their own movement responses. This was balanced with taught sequences and opportunities for mutual learning. I utilised the working concept of ‘translation’. This concept requires you to consider how participants are doing something, not what they are doing. This philosophy is central to choreographer Cecilia Macfarlane’s practice and her work with Crossover Intergenerational Dance Company in Oxford, England. It meant that as part of our process all ideas were translatable across all the bodies and all ages. This is supported by careful selection of language in the framing of the ideas. I believe that the real value of this philosophy and working concept is that it allows for a shared ownership of the choreography and empowers participants to make choices. As I look back at the project now, I smile with pride as I recall dancing with Tracey. In the final performance we danced a short duet together. I know that it meant the world to the children and student teachers to witness Tracey and I dance together. Like the children and students, we were dancing our ‘journey’ also. Something that made me smile during this project was during one of our rehearsals in the university with the children. I had the opportunity to work with a small group of children (the map girls) as they were practicing their piece in the dance. I remember standing back and watching them practice and perform, and thinking how wonderfully they were working together as a group, and coming together to perform a piece. It was an eye-opener as to how inclusive creative dance can be to all children in the class, as it does not rely on academic ability at all. The girls were working together and relying on each other to remember the sequence and the dance that they had created themselves. It was really lovely to be a part of this. A personal objective I set for myself in this project was to pay close attention to my engagement with the other bodies. In wishing to open up to the possibility of interaction with the teacher, children and students, I endeavoured to pay equal attention to my ‘self’ (my own process and learning) and to that of the other(s). I wanted to ‘receive’ in equal attention to ‘giving’. So I explored the framing and structuring of my own attention. I did this through journalling, studio time, drawing and art work, play time for myself with the sculpture, meetings with the Residency Co-ordinator and through discussions with the lecturers at The Froebel Department of Primary and Early Childhood Education at Maynooth University who had expertise in a variety of areas (Art, Geography, Music and Irish). I met informally and interviewed formally the sculptor of the Fish, Joe Bulter. I also interviewed the former principal of the school Máirín Ni Cheileachar and the current principal Neil Ó Tarráin, , owing to a change in school leadership within the duration of the project. Both Máirín and Neil were active partners in the project. I had regular meetings with Tracey and weekly email conversations. I enjoyed tea with the students and we discussed how we could support their engagement with the project within a very busy college schedule. Learning through practice was a key working philosophy for my own artistic practice and facilitation throughout the project. I endeavoured to trust and invite the knowledge that each individual has in their own body. I encouraged this in myself, the children, the students and Tracey. Making things our own, as a way to achieve deep learning. We all explored together and in separate spaces. Each person kept journals and had opportunities to share their reflections and considerations. In terms of dance as part of the curriculum, I found that there is so much scope in PE for dance outside the typical dances. 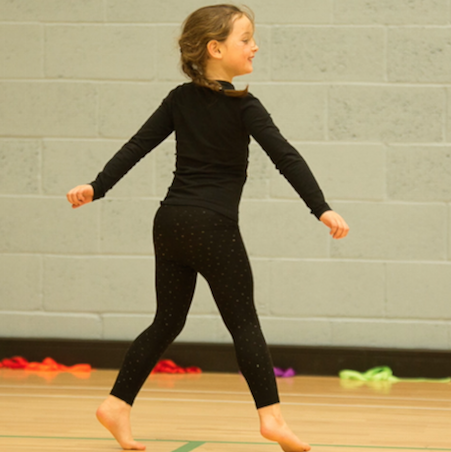 Dance is an art and a set of lessons could easily be created around a theme or a concept, and this can develop throughout the weeks, giving the children the freedom to shape the dance and help it evolve. Dance can also be integrated into drama as an effective methodology, as well as SPHE as a means of self-expression. I loved the way the children’s suggestions and ideas were taken on board as this meant that they had such an integral part in the whole project and they were really a part of it from the beginning to the end. Dancing is like a different language, but your body does the talking. I like dancing with everybody. They are good and I am. I can see a notable difference in the children’s confidence in relation to movement and dance and also in their confidence in speaking out and sharing their opinions and ideas. When some children started out they were very reluctant to engage as they felt it may have seemed silly. But as the weeks went by they gained confidence in their abilities and were less conscious of others around them. The children worked very well in their groups and some proved to be great group leaders. On the morning of the performance the children were so excited and some a little nervous. They always knew there was no such thing as making a mistake and that if things didn’t go according to plan that they could continue on regardless. They astounded their parents during the performance and you could see how proud they were of their children. The video of the performance was shown at a whole school assembly. The children were in awe at what they saw and my class were so proud of all they had accomplished. I was extremely happy that I agreed to take part in this project and would most definitely recommend any class / school to participate in a dance project in the future. I would say now that my ambitions and aspirations have been heightened following this project. I notice that when I speak and write about this particular project, my spine lengthens and my back broadens. I notice a feeling of absolute resolution, a feeling of muscular activation through my whole body, but a softening in the left side of my chest, my heart open and warm. I believe in the partnership model, artist and teacher, student teacher and child, artist and child, etc. I believe in building a relationship through the acknowledgment of the unknown and the known. I recognise and acknowledge the child, the teacher and the artist within me – within each of us. I wish to receive the facets of each individual in relationship. At the centre of the partnership is our physical selves- the body. The dance of each body; the dance of two bodies relating – evolving and responding, trusting and growing. I have seen first hand the children becoming creative agents in the dance project, becoming integral to the project itself and the performance. As a teacher, I feel more comfortable in exploring dance with a class (on my most recent placement following this dance project I decided to teach creative dance during PE lessons) and I feel much more confident that maybe one day I could engage a class in a project like this, using their own experiences, using their environment and personalities to create a vibrant, interesting and memorable performance with the children’s work at its core. Lisa is a contemporary dance artist and movement educator. Since 2014, she has been the Dance Artist in Residence at the Froebel Department of Primary and Early Childhood Education at Maynooth University. She holds an MA in Contemporary Dance Performance from the Irish World Academy of Music and Dance and a Post Graduate Diploma in Dance, both from the University of Limerick. Lisa has developed a large portfolio of collaborative work in a broad range of professional, educational and community contexts. Lisa is co-artistic director of Spoken Dance, an integrated dance company. Recently she has directed a number of short dance films with Spoken Dance. 'two' was selected for the 2015 Light Moves Festival of Screendance. The practice of collaboration and relationship building through the art of dance intrigues Lisa. In June 2016, Lisa will work with Belfast based disabled dance artists Deirdre Corry and Linda Fearon and choreographer Sheena Kelly in the development of a new work. In 2016, Lisa received a Creative Engagement grant from NAPD. 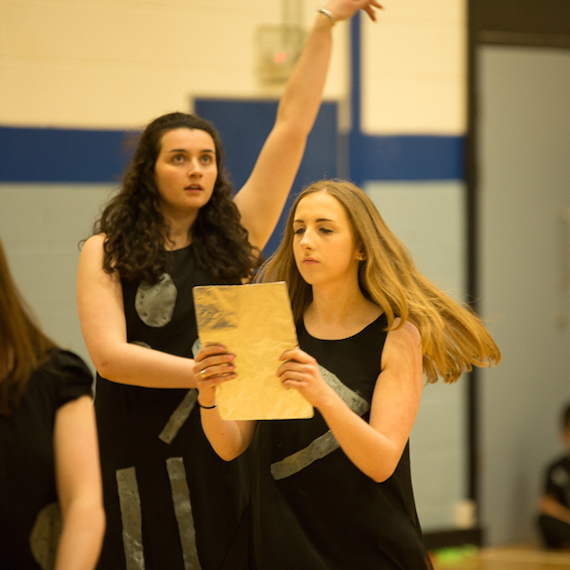 Scoil Bernadette at Montenotte, Cork and Lisa Cahill are proposing to engage in a collaborative contemporary dance project under the theme of ‘Dancing across the World’. The thematic content of the project will explore traditional folk dance from across the globe. Students will be challenged to recognise and describe the international folk dance and to develop creative responses to each folk dance. Coordinating the Maynooth University/Froebel Department Dance Residency has proven a hugely rewarding opportunity for me as an educator. Planning and collaborating with Lisa (Cahill) has been a stimulating and energising experience. It has served as a wonderful Continuing Professional Development opportunity for me as an Arts educator. Through the implementation of the residency programme strands, it has facilitated us as a Department to forge stronger relationships with our partner schools in County Kildare. Froebel Department of Primary and Early Childhood Education is known for the provision of a distinctive student-centred learning experience for undergraduate and postgraduate students. The Department is named after the 19th century German educator and founder of Kindergarten, Friedrich Froebel (1782-1852). He advocated reverence for the child, learning through activity, exploration of the environment, enjoyment of beauty in all its manifestations and acceptance of the gifts of each individual. • Responding physically to new environments met along a journey. An Introduction to Community Dance Practice by Diane Amans, 2008, A & C Black. Dance and Age Inclusive Practice by Ruth Pethybridge, 2010, Foundation of Community Dance. The Art of Dance in Education by Jacqueline M. Smith Autard, 2nd edition 2002, Palgrave Macmillan. I can see a notable difference in the children's confidence in relation to movement and dance and also in their confidence in speaking out and sharing their opinions and ideas.